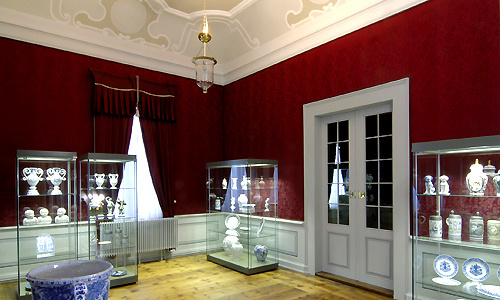 The Palace Museum in Arnstadt is associated above all with the name of a unique figurine collection: "Mon plaisir". 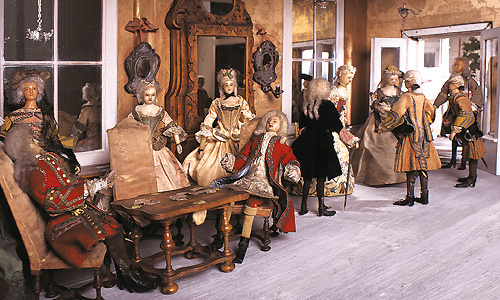 Every year thousands of visitors find their way to the exhibition galleries of this museum with the aim of finding out what the original intention was for creating it: to communicate a detailed image of a small German royal residence town in the first half of the 18th Century. 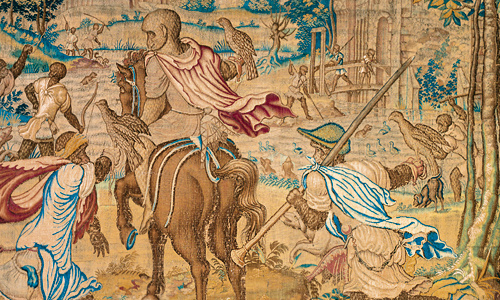 At the same time, the "Mon plaisir" with its 82 scenes and in all 391 figures is believed to be the largest and most comprehensive collection of its kind worldwide. 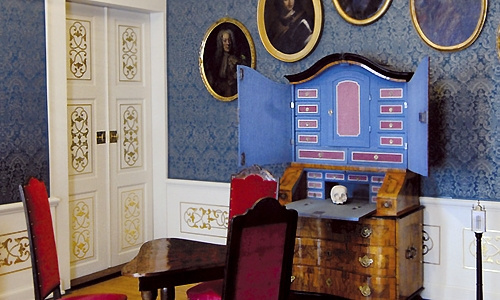 In 1930 - after a turbulent history - the present-day Schlossmuseum (Palace Museum) was housed in the rooms of Arnstadt’s former princely palace, its ultimate domicile, which has been open to the public since May 1931. 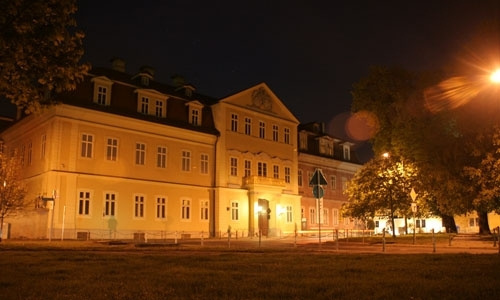 The former princely palace, a simple baroque town palace in a central position in the town facing the Schlossplatz, was built during the years 1729-1734 by order of Prince Günther I of Schwarzburg-Sondershausen. Originally built as the dowager's palace for the Günther’s spouse Elisabeth Albertine, the architect of the palace was Johann Heinrich Hoffmann, State Architect of Anhalt-Bernburg and from 1731/32 to 1733/34 also for Schwarzburg-Sondershausen. 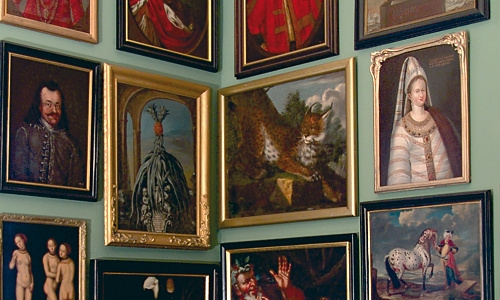 During the lifetimes of the royal couple, the Arnstadt Palace was already serving to accommodate the royal art collection, which still forms the core of Arnstadt Museum’s display. 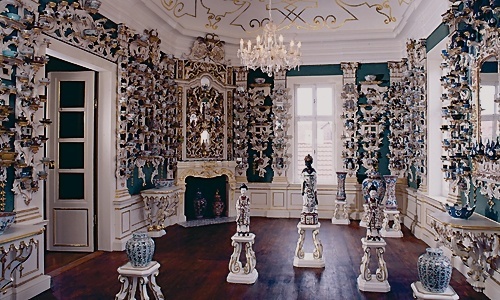 Of particular note is the porcelain collection of Prince Günther I, a large part of which can still be admired today in a mirrored porcelain display chamber still standing in its original position. In all, around 1000 Chinese and Japanese porcelain items are on view, dating mainly from around 1700, presented on 763 leaf-like shelves. These items are supplemented in the remainder of the exhibition by Meissen porcelain pieces (1st half of the 18th C.), which were also collected by Prince Günther I. The stables, which adjoin the building ensemble on the west side, houses in addition a lapidarium (18th Century burial monuments, architecture fragments of the 16th C. Neideck ruin) as well as a collection of historic hand fire extinguishers which, however, are not accessible during winter opening times.